Farming in Dungourney, Co. Cork, Brian Ronayne has overseen a major expansion of his dairy herd in recent years. Back in 2009, Brian milked just 48 cows. Over the intervening period, with the addition of extra land, the farm has grown to 509 cows which will calve down next spring. To facilitate these extra cows, Brian plans to operate a zero-grazing system next year. Now, farming a 141ha block, the Cork-based farmer is milking a herd of crossbred cows under a spring-calving system. This year, the average cow in the herd will produce 5,100L and at least 450kg of milk solids. 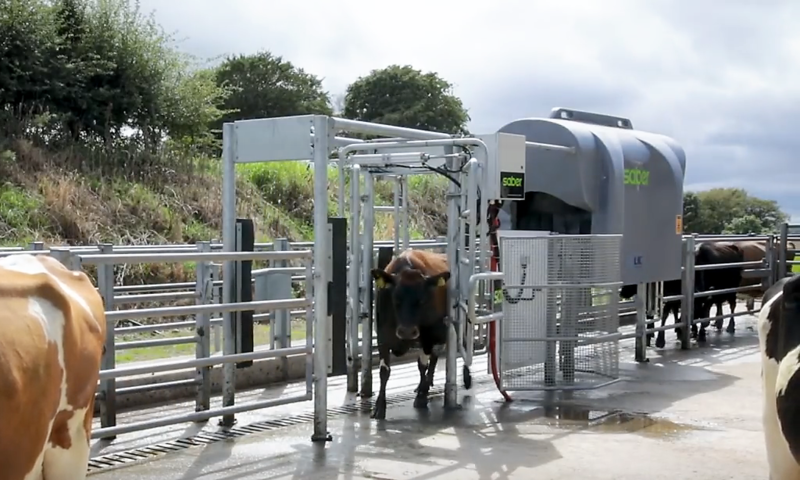 After a bad experience with a ‘cheaper’ drafting unit, which often resulted in 40% of cows being drafted incorrectly, Brian opted to install a Saber Draft system. Given the shear scale of Brian’s operation, three labour units are required on the farm at all times; two people are tasked with milking in the 29-unit Gascoigne parlour each morning and evening. Apart from milking, one of the routine tasks on Brian’s farm is drafting. Cows are drafted for a number of reasons, including: breeding; health treatments, such as hoof pairing; and the batching of cows into groups. “Now we have complete confidence; if we select 20 cows for drafting, we’d be certain there would be 20 cows in the collecting yard. It has given us great peace of mind and there’s less stress on the animal and the man,” he explained. Another key benefit that Brian has seen from the three-way drafting unit is its ability to draft cows on a future date. The addition of the Saber Draft now means that Ronayne and his staff can focus on milking cows and other important jobs around the farm. There’s no need to have somebody physically drafting out cows as Saber Draft performs this task. This reduces the labour pressure on the farm at a time when it’s becoming increasingly difficult to find skilled operatives. Farming near Urlingford, Co. Kilkenny, Sean Gibbons milks a herd of Holstein Friesian cows under a spring calving system. The grazing platform stretches across 110ha of land and there is two full-time labour units working alongside Sean on the farm. 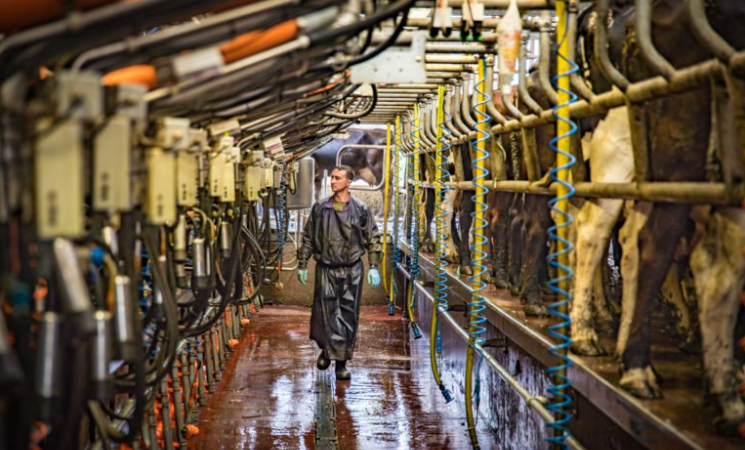 Given the scale of the operation, a 30-unit DeLaval milking parlour is tasked with milking each morning and evening. Over recent years, the number of cows on the farm has increased from 180 to 330 and – while Sean is now at full capacity – this year, the average cow in the herd will produce 6,500L and 500kg of milk solids. Similar to Brian, Sean switched from a different drafting system. When you get into numbers the Saber Draft system is much better; you don’t have to be going out looking for cows and the new system makes it a lot easier on my staff. The drafting system was installed in spring 2018 and Sean is extremely happy to date. “The system went fully operation in spring of this year. 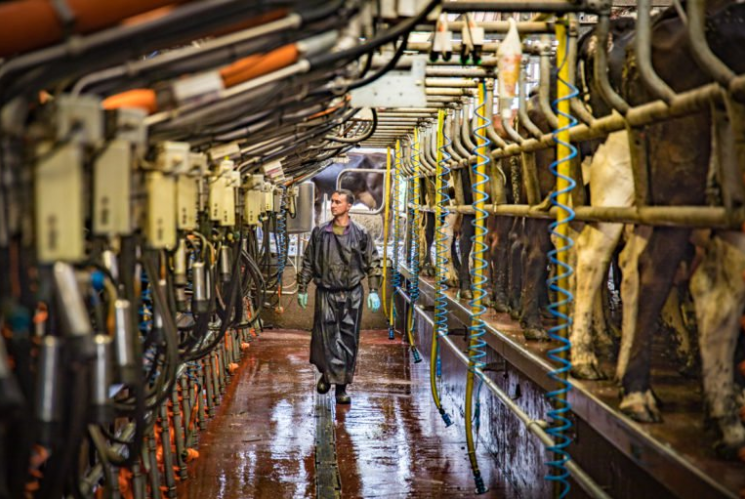 The system is 100% and we haven’t looked back since; Chris Murphy [the country manager for Ireland and the UK] and the team were really helpful when it came to yard layout for good cow flow and animal handling solutions,” he explained. 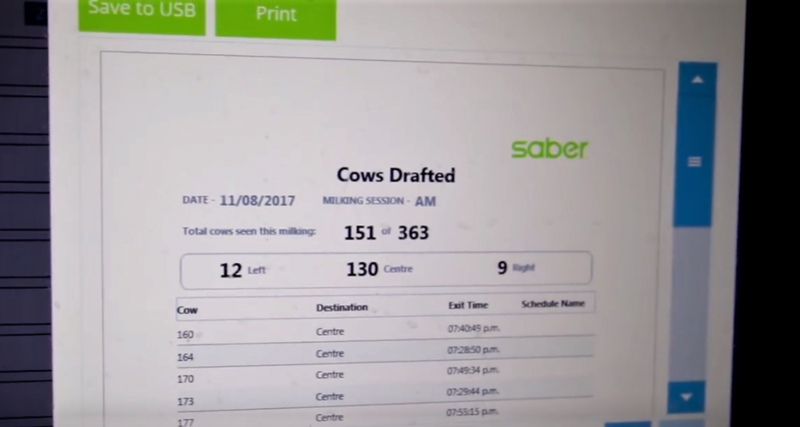 Saber Draft is a drafting unit that allows you to draft automatically while you get on with the business of milking. A low level of computer literacy and training required to get the system up and running.